Of all the things to send adrift at sea, you wouldn’t think a nuclear reactor would be one. History has already written several oceanic disasters, though luckily none of them nuclear. 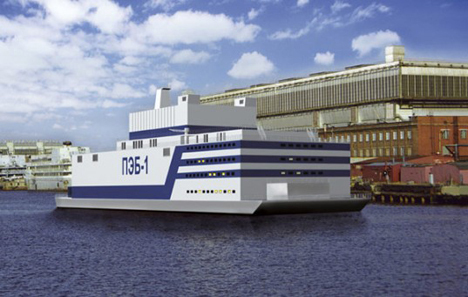 Meanwhile, many advancements have hopefully been implemented to prevent further disasters, as state-sponsored Russian nuclear power company Rosenergoatom, in collaboration with shipping corporation LLC Baltiysky Zavod Shipbuilding, have plans for the world’s first floating nuclear power plant. An eye raiser indeed, the Akademik Lomonosov is set to be online by 2019. 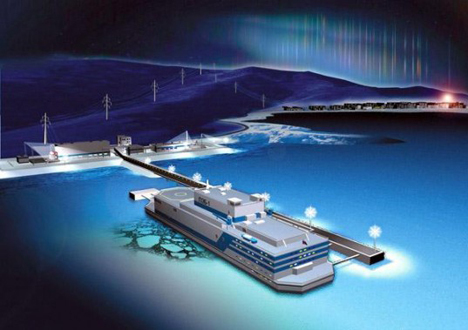 This atomic barge will feature two KLT-40 Naval Propulsion reactors that will have the ability to produce 70 megawatts (MW) of electricity, enough to produce power, heat and desalination for cities with populations around 200,000. 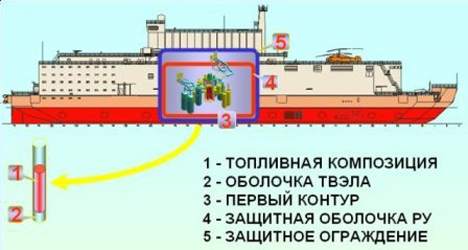 Initial construction of the Akademik Lomonosov began in 2007. It’s cost is an estimated $232 million. When up and running, it will serve the town it was constructed in, Severodvinsk, as well as the plant that built it. Concerns around the floating plant are numerous, with many writing it off as a floating nuclear weapon. The uranium involved, however, has only been lightly enriched, as opposed to the fully-enriched that powers other Russian nuclear power plants. This measure was taken to prevent the uranium from possible hijacking for use in a nuclear weapon. And in true vague Russian fashion, when asked about large problems that may occur with the plant, the ship’s owner replied that it would be “resilient in a disaster.” Comfort is something that has historically escaped Russian culture. See more in Energy & Power or under Science. November, 2013.